Date: January 18th and 19th, 2016. Thanks to a generous gift from fellow IMPS Investigators Cobra and Jackie, we were allowed to spend the night in what is said to be one of the most haunted hotels in Minnesota. This hotel shows up in numerous publications, including ghost hunting books for the state of Minnesota and online. It was also the site of an investigation by the Ghost Adventures crew in 2012, an episode that ended up in the seventh season. You can see pictures and maybe some video of their investigation here. This adds another location IMPS has investigated that was previously (or in some cases would be) investigated by the GAC. We arrived later in the afternoon as I had to work, but it is only a 45 minute drive to Sauk Centre from the Minnesota wing of IMPS in St. Cloud. This is the first investigation we have done in Minnesota. 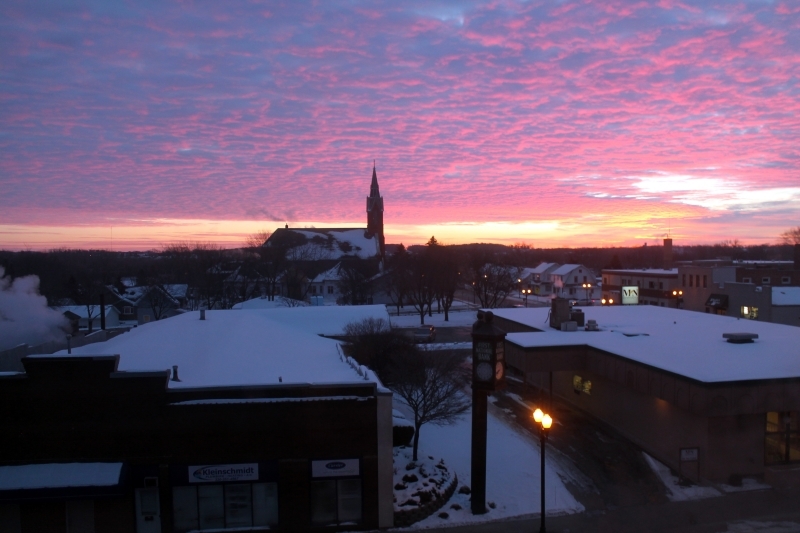 The hotel sits on a busy corner in the heart of downtown Sauk Centre, and it sticks out like a sore thumb. It has three floors, and was built in 1901. The hotel originally had 38 rooms, but now only has 22 rooms. 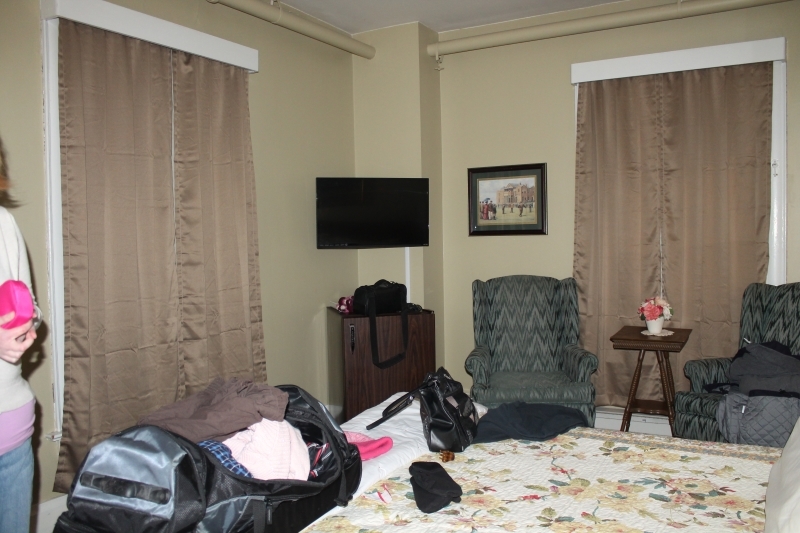 There are also a few rooms we couldn't see, including an apartment on the second floor, and storage rooms. 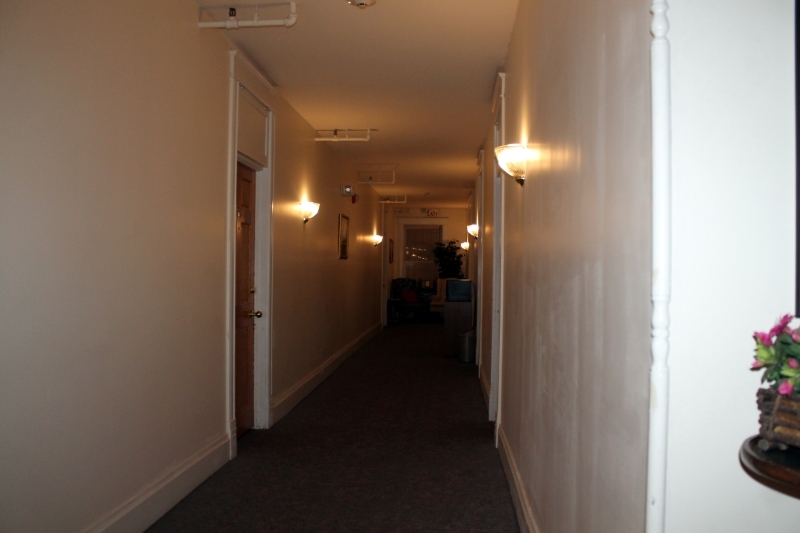 We also did not get to see the basement where the majority of the Ghost Adventures episode took place. We did, however, stay overnight in what was supposedly one of the most active rooms in the complex, room 17. The other is 11, which is on the second floor and across the hall. 17 is on the third floor at the very north end of the building. When we arrived, we parked out back and walked around to the front of the building. We entered the lobby, which was full of books and other items. There are a lot of artifacts, antiques, and other items on display. We did not see anyone at the front desk, but two women were talking to each other near the entrance to the hotel's restaurant which is just off the lobby. They told us the owner would come out and she did shortly after, checking us in. She told us our room was on the third floor and to "leave a seat open for Lucy". We walked up the flight of stairs just off the lobby and noticed immediately how old the building is. It is showing its age in parts, and also is very drafty. It doesn't help that it was the middle of January, and subzero temperatures outside. The whole hotel was cold. Our room on the other hand was not cold, but rather inviting. 17 is on the corner, with a window facing east, and another north. Both are so old that they were fogged up due to the temperature outside. We noticed right off the bat that traffic outside was easily audible, and trucks going by would shake the window panes. How annoying. We put our things together and I got out my Samsung Galaxy S3, which has an app on it called "Ghost Radar: Connect". I have always, and will always be skeptical of this software. It is an app on a phone, and much like other devices used in paranormal, wasn't designed for its intended use. The app uses the phones sensors to try and get a gist of the world around it. If it encounters anomalies, it has the ability to spit out words that might be from the other side. This is much like those ghost box things you see, or an Obvilus (sp?). The phone began spitting out random words, most of it not making much sense. A few names came through, none of them Lucy. It seemed when we asked it questions, or talked to it, we got incoherent answers, or nothing at all. I had a digital recorder running throughout this entire session. Melanie sat on one of the chairs, and we purposefully put something else on the other one in the room, to see if the "heavy feeling" that supposedly happened would. Melanie said her arms got cold when she was sitting in the chair but I didn't feel it. As we lack a thermometer, we were unable to document this, save for in the video (see pending). Next, we decided to check out the hotel's pub. Given we stayed at the hotel on a Monday, we had the place to ourselves, save for maybe two other people. The food was not as good as we'd hoped, pretty sub par, but the service was decent. We asked the owner about Ghost Adventures and she said they were there a few years ago (she was right, 2012) and said they mostly concentrated on the basement. She didn't seem to want to talk much about it. A birthday party started filing in as we were finishing up, and they were loud. Several party goers went upstairs and I unintentionally scared them after they walked down our hall. Haha! After we got done eating we walked the perimeter of the top two floors, recording and taking pictures. One of the pictures (below) showed an anomaly that was quickly ruled out as a lens flare and was repeatable. This is not paranormal. We then returned to the room to check out the jacuzzi in room 17. This was the highlight of the trip. Later in the evening, we left to get something to drink and I set the Sony recorder next to the phone which was still spitting out random words. It sat for about 10 minutes or so by itself in room 17. After that, I turned on the TV for a little while, but before going to bed, made sure the Sony digital recorder would run all night. The white Olympus recorder, which has been with us for over a decade, was set on the opposite side of the room. It was put on a timer to record from 1 am to about 4 am, as it has limited space. The Sony can record up to 20+ hours of audio in decent quality. It worked flawlessly, and used barely a smidge of battery. Both recorders received fresh batteries prior to the evening and both remained going just fine. At some point during the night, Melanie awoke to hear music, and told me about it. Apparently I responded and said I heard it too. I do not have any recollection of waking up at any point in the night. Skimming through the audio, before doing a full review, I did not catch us talking at any point in the night. Was this paranormal, or was it our minds playing tricks on us? The evening was uneventful. I did not hear anything that was able to wake me up during the night, but I did notice that the traffic outside would put a damper on our audio. It did. The next day, we had to leave early but check out was pretty much a breeze. I wish we had more time to check this hotel out, and maybe stay in another room next time. We may be back, and another investigation will take place. Below is the evidence collected from this investigation. Far Man Talking - We could not understand what this man was saying but both of us heard it. This was several minutes into the second audio clip of the night, just after 7:20 pm. The phone began spitting out words, saying "whale". You'll hear me say a few words and there is a silent space where you can hear a squeak and what sounds like a far off man. Normal, 1X Amplified, 1X noise reduction applied. This may not be paranormal because some kids were coming up the stairs at the time this was recorded. There was nothing on the overnight recordings on either recorder execpt a lot of snoring, and some flatch, which is to be expected. This was disappointing to say the least. PICTURES - Nothing unusual showed up on any pictures taken on site. As mentioned, Palmer House hotel was built in 1901 by Ralph L. Palmer. It was built on the site of the "Sauk Centre House" which burned down on June 26, 1900. 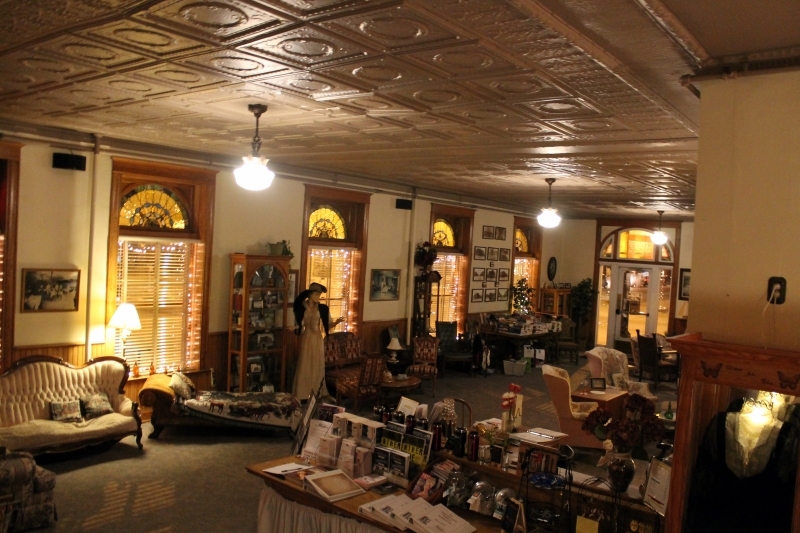 It was the first hotel in Sauk Centre to have electricity. Author Sinclair Lewis, who is big news in Sauk Centre, worked at the Palmer for a time. It is mentioned in his novel "Main Street". When built, the hotel had 38 rooms sharing a common bathroom which was customary at the time. It was eventually remodeled to hold 22 rooms plus as mentioned previously, a number of other rooms and a staff apartment. 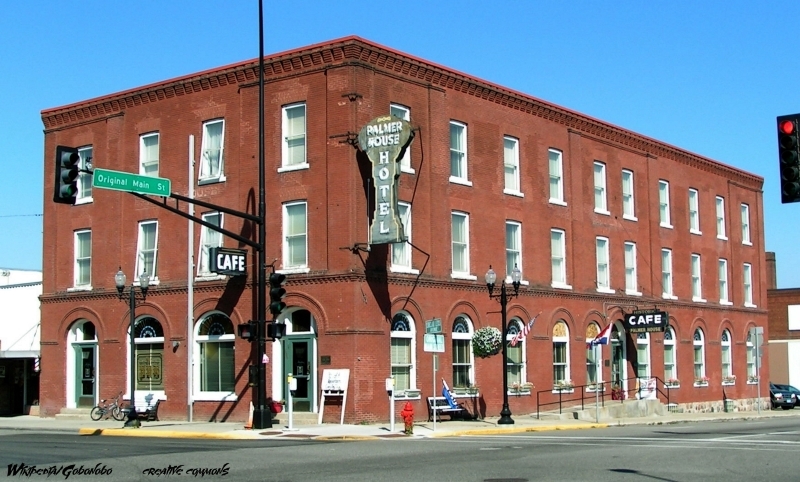 The hotel is on the National Register of Historic Places. Sauk Centre is located in Stearns County, Minnesota, almost right dab smack in the middle of the state. It is accessible from Interstate 94, and is about a three hour drive east from Fargo. From the east, it is about an hour and a half drive west from the Twin Cities. St. Cloud, the nearest large town, is 45 minutes east. The hotel is located in the heart of downtown, and is hard to miss.